Hi everyone, my name is Derek, and I’m addicted to Sriracha. Yeah, so if there was a support group for Sriracha I think I would need to attend… then again, that would mean I was looking to quit Sriracha. Hmm, nobody likes a quitter right!? But it’s true, I think I have become addicted to the stuff, I put it on nearly everything now! Sriracha & honey glazed shrimp accompanied by rice with fresh ginger, shiitake mushroom and scallion set in a red miso broth, garnished with fresh watercress and toasted sesame seeds. Below is my recipe and recommended wine pairings. Enjoy! Alright guys, this one is super easy to make, it’s fast, and doesn’t create too many dishes to clean. First thing you need to do is get the shrimp marinating, at least two hours before you plan on cooking dinner, and up to one day before. Combine all of the ingredients listed in the “shrimp” section, stir well to make sure that everything is evenly coated, then cover and refrigerate. Once you’re ready to cook the first thing to do is get the rice going. In a medium pot melt your butter at medium-high heat, add the mushrooms and 1/2tsp of salt. Cook until the mushrooms start to lightly brown, then add the rice. Cook the rice and mushrooms for 3 minutes, stirring regularly, then add the ginger, chicken stock, water and seasoning. Bring to a boil then reduce heat to medium-low and cover, stirring periodically. The rice will likely take about 25 minutes to cook. Once you hit the 20 minute mark check the rice by tasting to get an idea of how far along it is and act accordingly. For the end product you want just a bit of firmness. Just before you’re ready to serve stir in the chopped scallion. While the rice is cooking make the miso broth. Yeah, I know it’s cheating using something premade, but sometimes it’s just best to cheat. Bring the water and chicken stock to a boil, stir in the miso mix, then reduce the heat to medium-low and allow to simmer until ready to serve. You want it to reduce down a little but not too far, so watch the heat. If it reduces too much it could be overwhelmingly salty. Last but not least is the shrimp. Do this when you have about 6 minutes left on the rice. Heat a sauté pan or pot on high then add the marinated shrimp along with all of the marinade that you had made prior. Sear for 2-3 minutes then flip and repeat. Once you’ve done that if the rice isn’t quite ready yet reduce your heat to low and stir periodically while you wait for the rice. That’s it, you’re done. Easy wasn’t it? 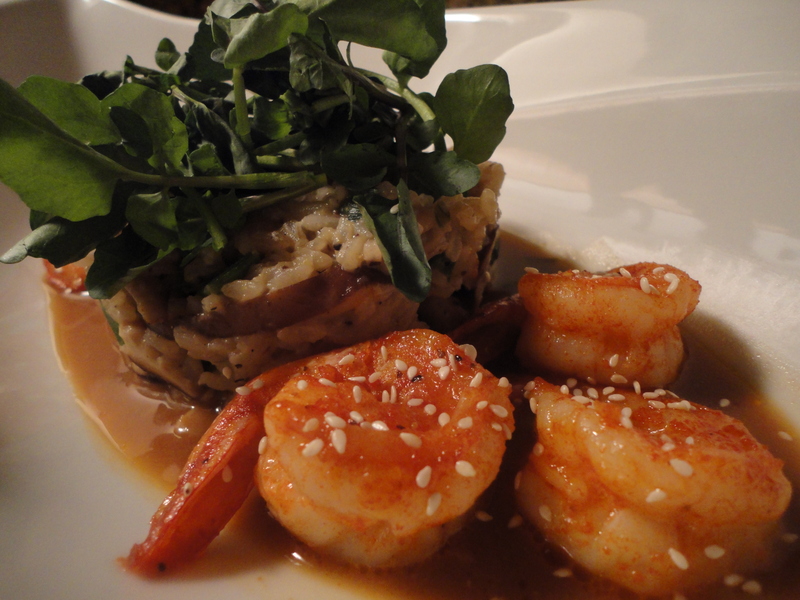 Go ahead and plate the broth, rice and shrimp, top with watercress and sprinkle the dish with toasted sesame seeds. As far as wine pairings go I will almost always recommend white wines for 90% of Asian inspired dishes, and preferably something that has a touch of residual sugar and minerality to it to offset the heat and salt. 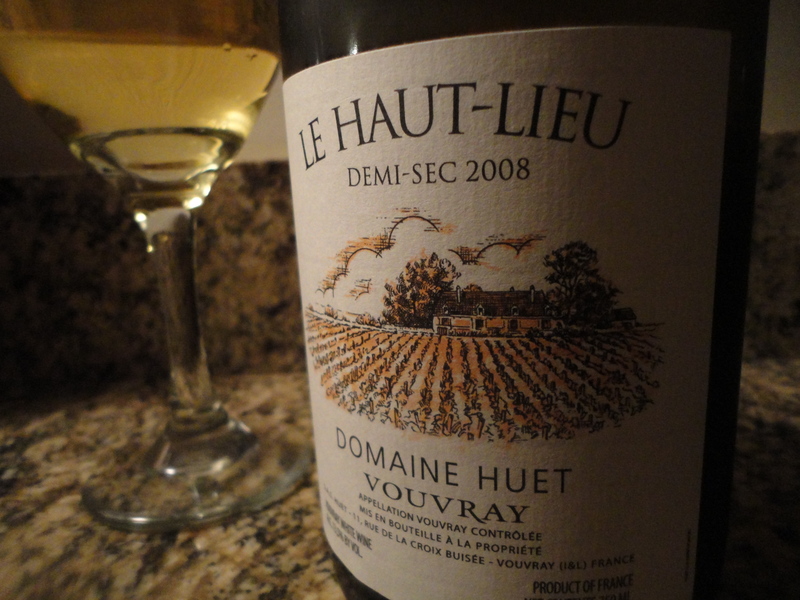 Riesling, Gewurztraminer, Chenin Blanc, Albarino, Torrontes… these are go-to’s for me. You could also go with bubbly that has some dosage. Below are my three recommendations for this dish, including what we had that evening (listed first). So there you have it, my recipe, my wine pairings, my admission to the world that I’m a Sriracha junky… I hope you enjoyed the read, and I hope that you make the dish and drink the wines. New content coming soon, but in the meantime crack open something crisp and subtly sweet, sit back, and relax. Life is short, enjoy it! Tags: glazed shrimp, honey sriracha, miso broth, perfect pairings, perfect pairings at home, shrimp, sriracha. Bookmark the permalink.